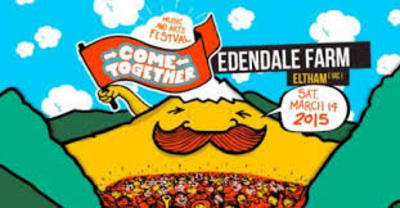 Edenvale Farm in leafy Eltham will play host to the Come Together Music & Arts Festival on the 14th March. This family friendly day has a huge line up of musical acts, performance art and fun activities and is all about embracing and celebrating cultural diversity. For the kids there will be face painting, hula hooping workshops, Artlab installations, Charlie Silly Pants and a disco at the end of the afternoon. Phew! Come Together is a not-for-profit event and all monies raised will go to Beyond Blue and Redkite (supporting children and teens with cancer and their families). The organisers are encouraging families to leave their cars at home, and walk or cycle to the farm from Eltham train station. Pack your picnic blanket, fold-up chairs and positivity. Please also bring cash as there will be no facilities available on the day.